Lynford Lardner was born in London, England, in 1715. He was the son of John Lardner, a physician of some means who lost most of his money when the South Sea Bubble crashed in 1720-1721. Initially it was supposed Lynford would become a clergyman in the Church of England, but his father’s financial loss forced the apprenticeship of Lynford to Thomas and Richard Penn, who were at that time in the wool industry. Richard Penn the elder was married to young Lynford’s sister Hannah so the connection was a natural one. After his move to the English countryside in 1732, young Lardner quickly became fond of sport and leisure and of the life of an English gentleman. Lynford Lardner’s ties to the Penn family led to his 1740 move to Pennsylvania and his 1741 appointment there to the post of receiver-general. Although he tried to perform his duties as required, Lardner never enjoyed the job and was not very good at it. As a result he resigned in 1752 and entered into industry, a pursuit which gave him time to resume hunting and fishing. In 1755 he was appointed to the Governor’s Council, and then in 1771 was made comptroller of customs by his nephew John Penn. Lynford Lardner had seven children with his first wife Elizabeth, the daughter of Philadelphia merchant William Branson. After her death in 1760, in 1766 Lardner married Katherine, the daughter of the Thomas Lawrence who was five times mayor of Philadelphia. 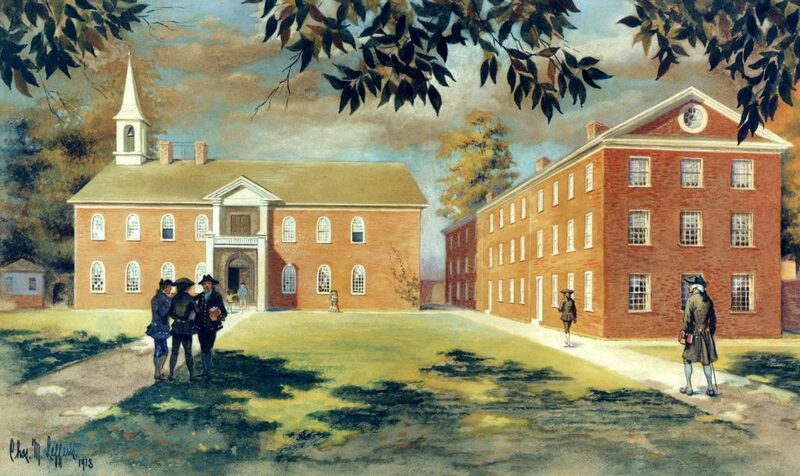 In 1762 Lardner was elected a trustee of the College and Academy of Philadelphia (now the University of Pennsylvania), serving until his death in 1774. Lardner was buried in Philadelphia’s Christ Church cemetery.